Warm wishes for the holidays! Nickie has been a very good girl all year, and is exited about all her presents under the tree! 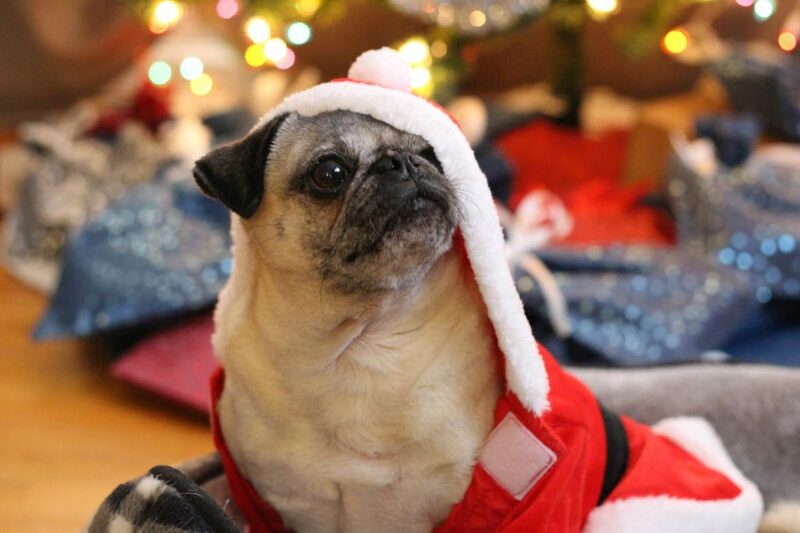 Sending warm wishes to all of our pug friends!